While Erik Molenaar steadily continues to distill his own spirits at his Wagging Finger distillery, his company Kintra still bottles whisky and rum. 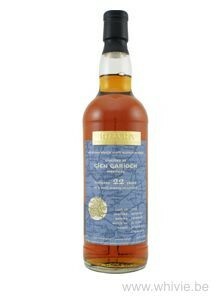 This is a Glen Garioch that he released a couple of years ago, but of which I only just now was able to secure a sample. Ooh, this is a very aromatic nose full of banana, papaya, melon, demerara sugar, tiger balm, Cointreau, cigar box and mint. There is so much going on here. 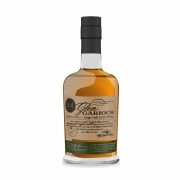 But truth be told: if offered blind I would have taken this for a good rum! While the body is light, the taste is just fine. Very fruity with a hessian note. Pink grapefruit, apricots, sultanas, honey and some balsamico. Baking butter. Surprisingly spicy, in fact. Lots of ginger, liquorice and cloves. Oranges, let’s not forget those! And a lovely trace of woodsmoke. This is very good! The finish is pretty long, sweet and spicy at the same time and offers up a rummy finale. Told you! Wow! 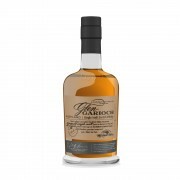 A grand Glen Garioch. Unfortunately nowhere to be found now. Thx for sharing, Manny!